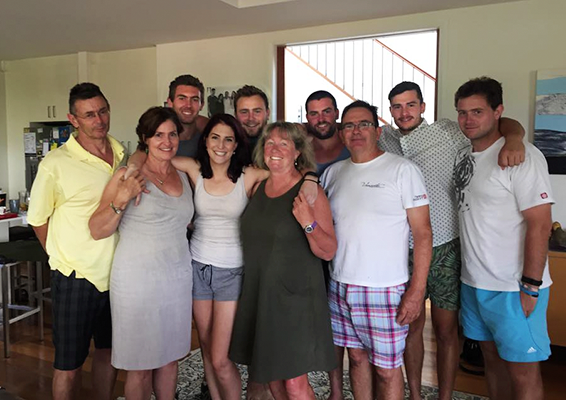 and deigns to share it here with the rest of the family unable to be at that Christmas table. 1. Finely cut up or crush the walnuts. Add the chopped walnut, brown sugar, ground cinnamon, allspice (or ground cloves) to a bowl and mix together. 2. Melt the butter and brush a thin layer on a tray which is about 13 by 9 by 2 inches. I used a glass tray but I have read that some people think metal is better. 3. Add 8 layers of filo pastry, buttering each layer with a brush as you go. 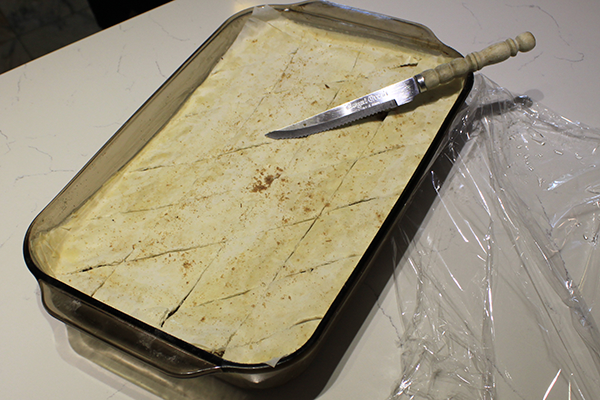 I used a paper template the size of the pan mouth (not base) to cut the filo pastry to size. Filo pastry needs to be handled quickly yet delicately to prevent it from tearing or drying out. 4. After 8 sheets, add a layer of your nut mix. 5. Add 4 more layers of filo pastry on top of your nut mix, brushing each layer lightly with butter as you go. 6. Add two more layers of nuts and filo pastry with the final layer of filo pastry consisting of 6 sheets of pastry. Lightly butter each layer of filo pastry as they are added. 7. Put in the fridge for a 1/2 hour to make the cutting easier. 8. 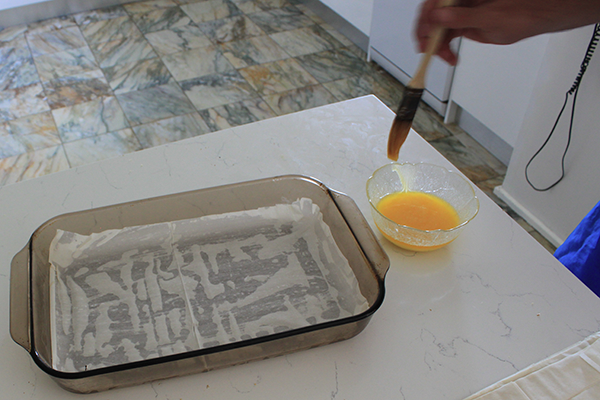 Once the butter has re-solidified, cut the baklava horizontally then diagonally, creating a diamond pattern. Do not cut corner to corner. 9. Put in the oven at 180 degrees for about 30 mins, or until golden brown on top. 10. While it is cooking, make the syrup. 11. In a saucepan combine the honey, water, white sugar, vanilla essence, cinnamon stick and whole cloves in a small saucepan. Bring to the boil while stirring. Then simmer for about 10 minutes. When it has thickened (but not too sludgy or reduced in volume) set aside to cool. 12. When you take the baklava out of the oven, spoon the syrup all over making sure to pour down the cracks. Let sit for as long as you can bear then eat.